Listen, I know, sometimes it can be nearly impossible to shop for guys. I get it. They don’t make wish lists, or drop hints, and generally if they want something they get it. Oh man, men! So my rule for shopping for Mark, the man in my life, is to just have fun with it. I listen carefully to the things he mentions, the articles/songs/books he gets excited about, and otherwise I am left with my own creativity. For this “his edition” of the gift guide I was extra playful, a little old school and hopefully a lot of fun. When I found a lot of these gifts it was with Mark in mind. What I really like about them is that they straddle the gap between grown up and kid – and if there is ever a time to act or feel like a kid, it is definitely at the holidays. A lot of these gifts are food/drink related – and I think that’s great for a guy – they’re consumable and don’t require much thought. 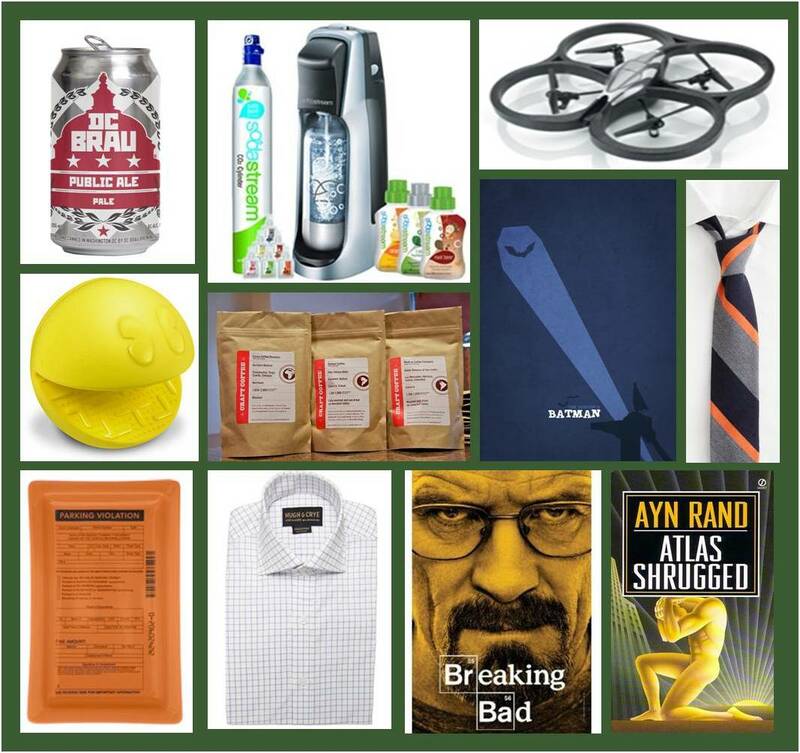 Check out microbreweries, coffee roasters, beef jerky makers, etc, for cool monthly or weekly gifts. I also really loved the old school favorites from yesteryear that are now updated like the modern movie posters, RC racers, and Pac-Man. If your guy needs some grown up gear nothing beats a perfect fitting shirt, crisp tie, timely reading, and a kitschy tray to catch all. What is your favorite gift to give guys? Tell me in the comments! This entry was posted in Decor, gifts, Her Home, Holidays and tagged 2011 gift guide, 2011 gifts for guys, christmas gift ideas, christmas gifts for guys, christmas gifts for men, gifts for a college grad, guy gifts, holiday gift guide, holiday gift ideas, holiday gifts, mens gifts. Bookmark the permalink.